The Centre for Research and Technology-Hellas (CERTH), founded in 2000, is the only research Centre in Northern Greece and one of the largest in the country. More than 800 people work at CERTH with the majority of them being scientists. CERTH has received numerous awards and distinctions (European Descartes Prize, European Research Council (ERC) Advanced Grant, Microsoft International Contest Prize, the Trading Agents Competition Award and many more). CERTH has participated successfully in more than 1.200 competitive research projects (with a total budget exceeding 450 M€ and involving more than 1.100 international partner organizations). CERTH’s research results (more than 260 publications/year) have significant scientific impact. Four spin-off companies have already been launched through CERTH research activities. CERTH is the first Greek research institution recognized by the EU that respects the principles of the “Charter for Researchers and the Code of Conduct for the Recruitment of Researchers”. CERTH is listed among the Top-20 of the EU’s Research Centres with the highest participation in FP7 competitive research grants and its score in H2020 projects is also significant (206 project until today). 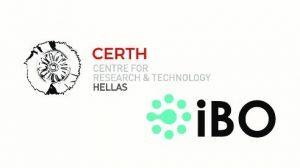 In the Smart-AKIS project, CERTH participates with one of its Institutes, namely Institute for Bio-economy and Agri-technology (iBO) which specializes in the fields of agro-food, smart farming, agro-mechatronics, robotics and automation in agriculture. iBO has significant experience on research projects related to multi-disciplinary engineering domains spanning between Biosystems, Mechanical and Computing engineering. At the time being iBO is coordinating or taking part in 9 H2020, 3 ERASMUS+, 8 national and 2 inter-regional projects with a steady increase every year.